Each summer, I try to read a lot of new books for children so I can recommend them in the fall when the school year begins. I have a "New Books" basket that I regularly add to and love to keep up with all the great new books that are being published. I am usually asked questions from my colleagues and former students such as, "So what did you read this summer that I should read? What were your favorites?" Below, are my top 6 favorite books that I read this summer, in no particular order. 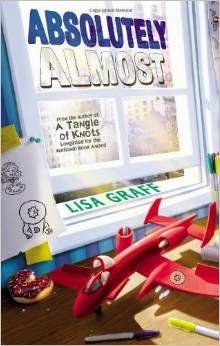 Click on the title to read the post I wrote this summer about Absolutely Almost by Lisa Graff . 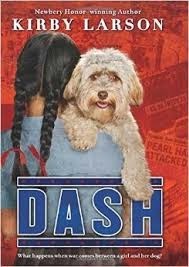 Click on the title to read the post I wrote this summer about Dash by Kirby Larson which comes out today! 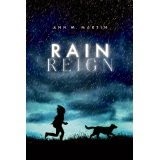 Click on the title to read the post I wrote this summer about Rain Reign by Ann M. Martin which comes out on October 7th. 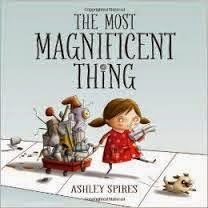 Click on the title to read the post I wrote this summer about The Most Magnificent Thing by Ashley Spires. 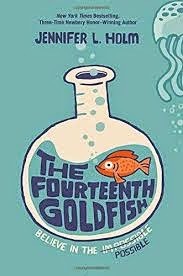 The Fourteenth Goldfish by Jennifer L.Holm is out today - yay! 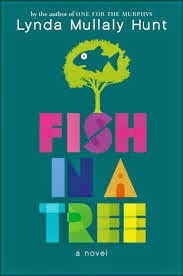 This was the last book that I read this summer and I loved it! This is a fascinating story about an eleven year old girl named Ellie who misses her most recent goldfish. One day, a young boy shows up with her mother who reminds her a lot of her grandfather, but it can't be...or can it?? Did her Grandpa Melvin, a famous scientist, actually discover how to return to a younger age? Read to find out and discover more about Ellie and her Grandpa Melvin or should I say the young Melvin! 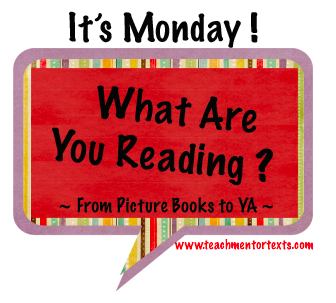 Hope you all enjoyed your summer and read lots of great books too! Well, one of them (there are four) is a junior. That means that she is of the age to get her driving license and, in fact, she got it on Friday and drove to school for her first day yesterday. Yes, I have another high school daughter who I drove, but it's not the same. And for all of you who are approaching teenage driving years, know that, while it's great independence for them, it's less time that we have to talk to our children. Oh, and one of them will be a freshman in college. My stomach flipped as I wrote that because tomorrow, the countdown is over. Tomorrow, Larkin and I will head off with a car full of life’s necessities. We will drive all day, unpack and set up on Thursday, and on Friday, I will. leave. her. It’s what’s supposed to happen. She’s going to a great place, she will keep in touch, she will be home for Thanksgiving, she has a good head on her shoulders. She will be safe. All of a sudden, August 28th, a date that has been far off in the distance, is really close. A friend of my mother’s shared the wonderful practice that she started of keeping a box in her child’s room when he is away. Whenever anyone comes across something that they think he would like, they put it in the box, wrapped or unwrapped, but with a message. When the box is full, she mails him a care package. Larkin’s box will be on her bed when I come home, and I know that I will be filling that box over the next couple of months. If anyone has any favorite sending-off traditions, please share. I have some ideas, but am still open to others! Over the summer, I did a lot of writing, so I was constantly on the hunt for books that developed strong plots with memorable characters. What I have realized, and it really intimidates me as a writer, is that most of the books that I admire have more than one plot, with several stories intersecting and intertwining. The Secret Hum of a Daisy by Tracy Holczer is a beautiful book about a 12 year-old coming to terms, as much as anyone can, with her mother's death. Thank you to Tara Smith for the recommendation! The characters are complex and developed, with quirks, hobbies, secrets, talents, and passions and they are all so likable and memorable. Voice is critically important in middle grade fiction, and the first person narrative is packed full of preteen insights, emotions, and humor. This would be a very long read-aloud, but a great book for strong upper elementary readers. Listening for Lucca by Suzanne LaFleur surprised me with sub-plots I was not expecting and elements of magic within what seemed at first to be realistic fiction. Because the main character, Siena, is such a strong and insightful narrator, readers learn a lot about the writing process through her experiences, as well as about struggles with moving, making friends, and guilt. As a writer, this book inspired me to think about how to weave stories together, but it also inspired me to learn more about selective mutism and I could also see it inspire students to want to learn more about war and what some American soldiers experienced when fighting overseas. I have written a lot this summer. Not much on the blog (and I feel guilty about that--I am working on letting it go!). Not even much as far as weekly slices are concerned, because I have been completely committed to finishing and then revising a chapter book that I started several years ago--I think that the first pieces of it were from 2008! But, I have learned a lot about writing this summer, as I reflect on the work. I have gotten to know about communities that exist to mentor, encourage, and inspire writers. If any of you are trying to write a chapter book, firstfivepagesworkshop.blogspot.com is an incredible resource. I can not say enough about how much the community there has taught me. Here are a couple of big takeaways for classrooms. Writers crave responses. At the firstfivepages website, we put our writing up publicly for critiques and I read, re-read, read out loud, and even printed out many of the comments. On the days when we put up our revised versions, I would be embarrassed to tell you how many times I checked to see if my piece had any new comments. When we are really into writing, it’s brave and scary to put it out there, and that’s what we ask kids to do in workshop oriented classrooms. As a teacher, as a coach, as a human, I pledge to remember to respond when people, young or old, share their work with me. Another takeaway for classrooms is that letting go of ideas or parts of written work is hard. I found myself going through a predictable process when my writing community made suggestions that involved significant revisions (and admittedly, my writing community was probably much more honest and critical than I would think most teachers would be to students). First, I have to say, I felt defensive. I wanted to explain why I made the decisions that I made and have my readers/critiquers just understand. Then, I would try to dig into what they were saying. This is when I was really grateful for written comments because I could repeatedly return to them. Gradually, I would rehearse in my head how to incorporate suggestions and feedback before I could sit down and really do meaningful revision. I’m not saying that students follow this same process when teachers give them stuff to work on, but this summer, I have developed a second favorite word. (My first favorite word is yet, since it opens up a world of possibility.) Maybe has a whole new place of power as a word for me this summer. When critiquers used the word maybe, I felt empowered, almost like their idea was my idea. (It wasn’t. Many times, the ideas were other people’s...) I am planning to use maybe in my practice much, much more. I am even working on a post about the power of maybe. I’m off to celebrate my last day at the beach--this week I return to the land of working with meetings on Thursday and work-related tasks on Friday.